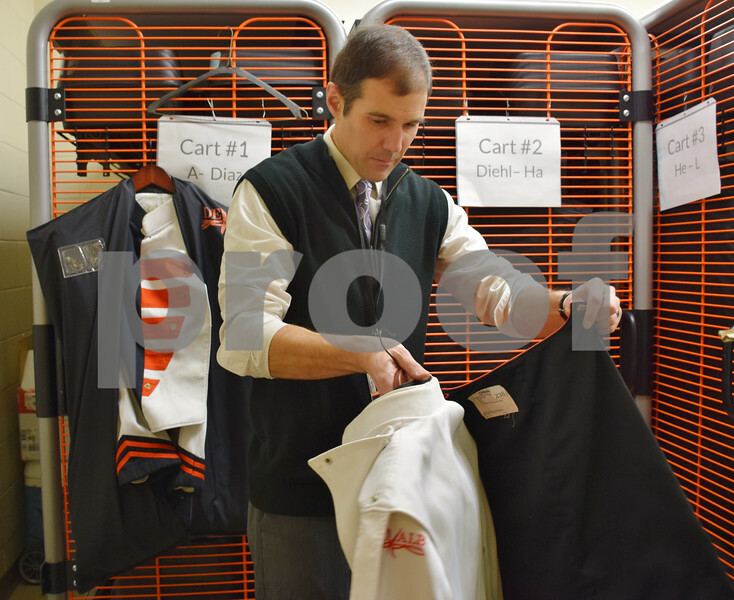 Band Director Steve Lundin examines one of the DeKalb Marching Barbs' uniforms in the school's band supply room. Most of the heavy wool uniforms have tears at seams, pilling from where equipment rubs, missing buttons and irremovable stains. Pants have countless hemlines, broken zippers and worn-out leg bottoms.